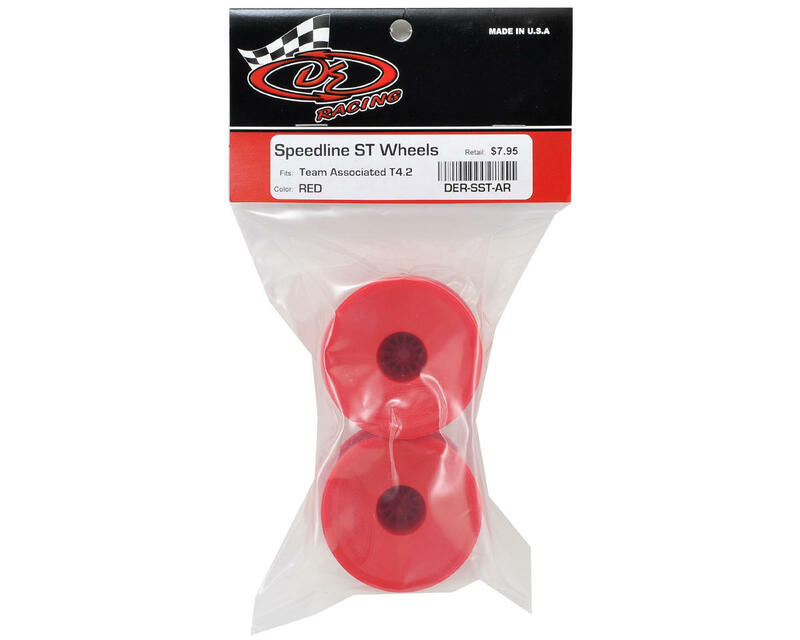 This is a pack of two red DE Racing “Speedline” 2.2" 1/10 Scale Stadium Truck Hex Wheels. 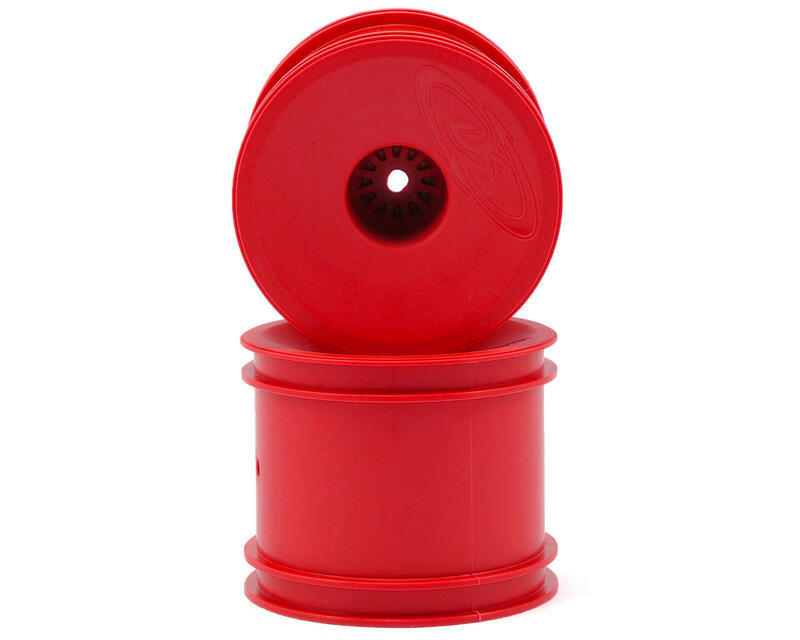 Blending a traditional style dish wheel to the precision and durability DE Racing has become known for, these wheels make a statement to the racing community even larger than the logo on the face. 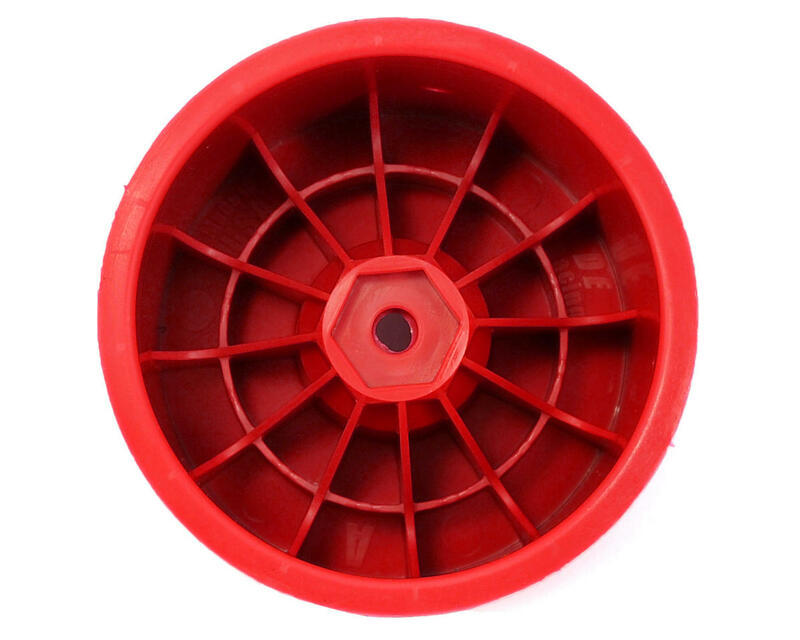 Additional features include a channel for easier tire gluing, high clearance ribbing, and improved wheel flex to optimize traction and handling.